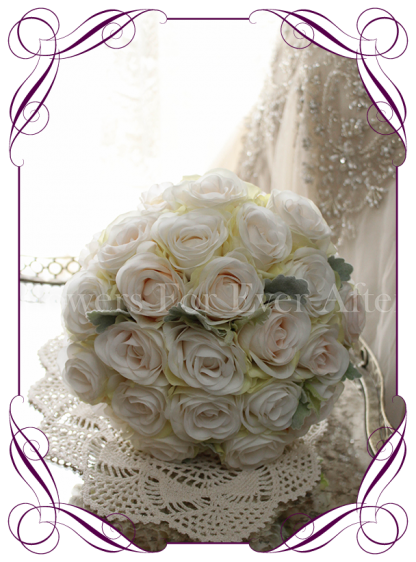 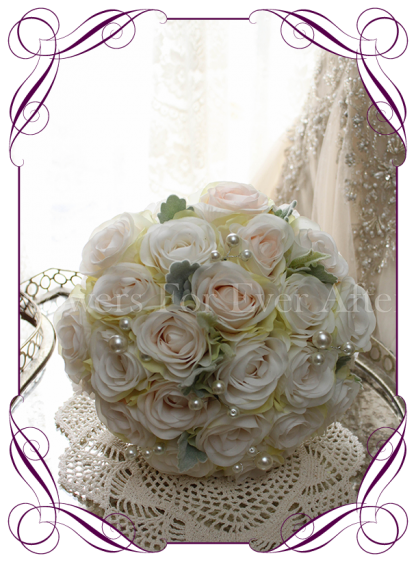 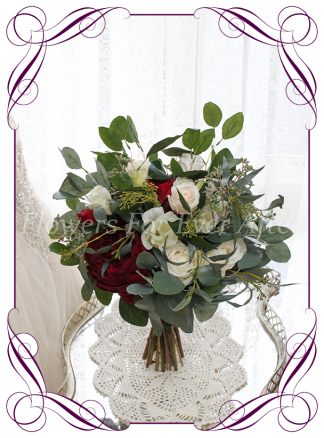 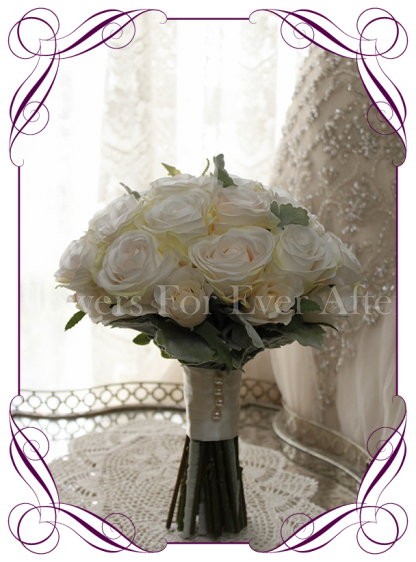 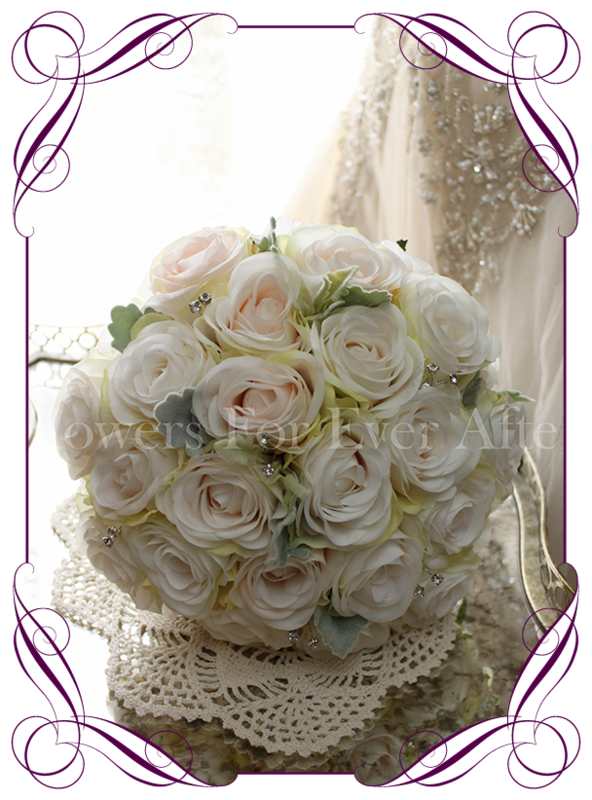 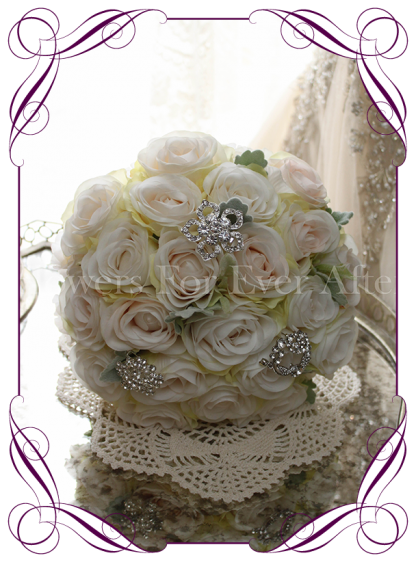 An elegant and classic shallow artificial rose posy. 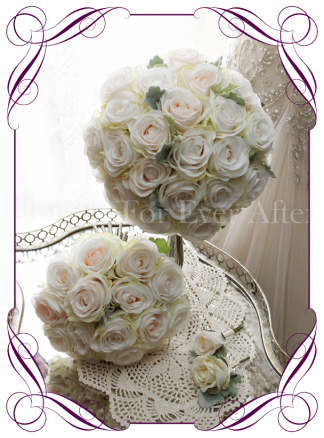 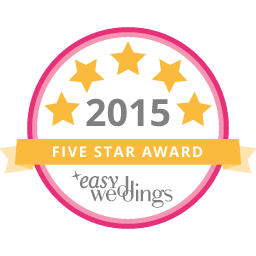 Features silk ivory and blush roses with dusty miller foliage at the base. 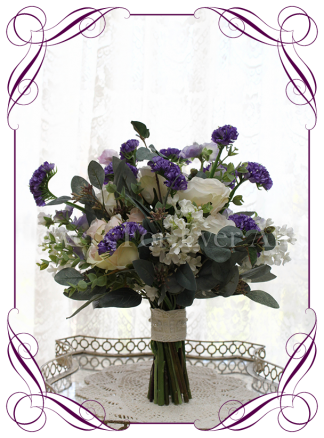 The posy measures approximately 24-25cm across. 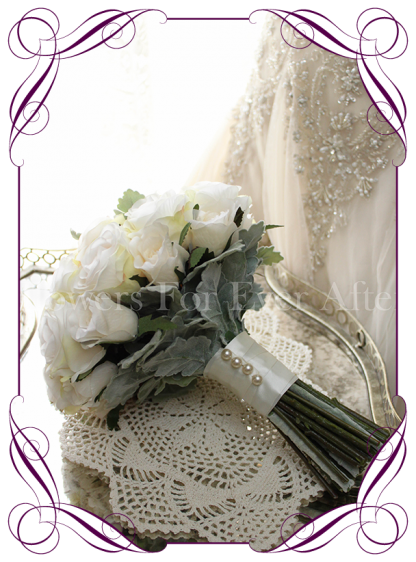 Bouquet handle finished and bound in ivory satin and a pearl studs. 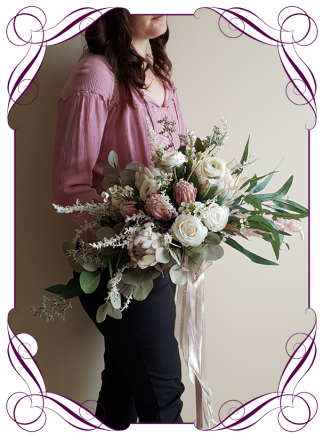 Matching pieces available in separate listings including the bridesmaid, junior bridesmaid, flower girl / throw, buttons, corsages and cake flowers.